After 10 years of waiting, fans of the show can finally buy the full DVD set of ABC TV’s satirical series The Games Series 1 and The Games Series 2 on DVD from ABC Shop. I personally rate The Games in the top 5 list of best Australian comedy TV series. 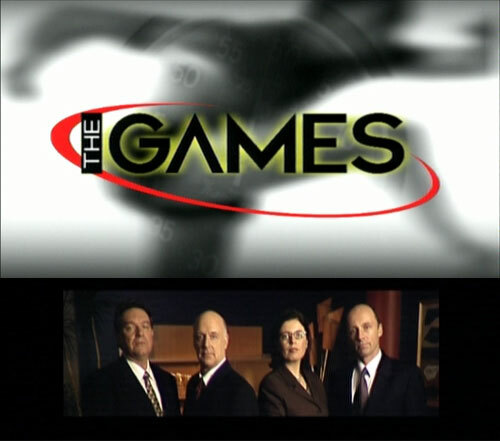 The Games charts the progress of the fictitious Logistics and Liaison Division of Sydney Organising Committee For The Olympic Games (SOCOG) in the run-up to the Sydney Olympics in mockumentary style by documenting the exploits of 4 members of The Games Management Team: John Clarke (Administration & Logistics Supremo), Gina Riley (Marketing Manager), Bryan Dawe (Manager Accounts, Budgeting and Finance) and Nicholas Bell (Secretary to the Minister for the Games). The one big down note for buyers of The Games on DVD is the lack of any DVD extras at all. There are no commentary tracks from John/Bryan/Gina/Nicholas, no Computer Wallpaper, no Behind the Scenes footage, no Clips that didn’t make it to the broadcast version of the show and no Interviews with the main actors or guest stars about key episodes like “John Howard Apologises”. Have been looking for this for years. Cant wait till it arrives! Certainly will beat the old VHS recording.